Options include Full-screen, Widescreen, Custom Cursor and separate sliders for Music and Sound. To amp up the difficulty, you also have an option to play in Relaxed or Timed mode, which give you only 10 seconds to play each card. If you don't play a card in time, you'll have to use an undo (provided that there's a move to make). 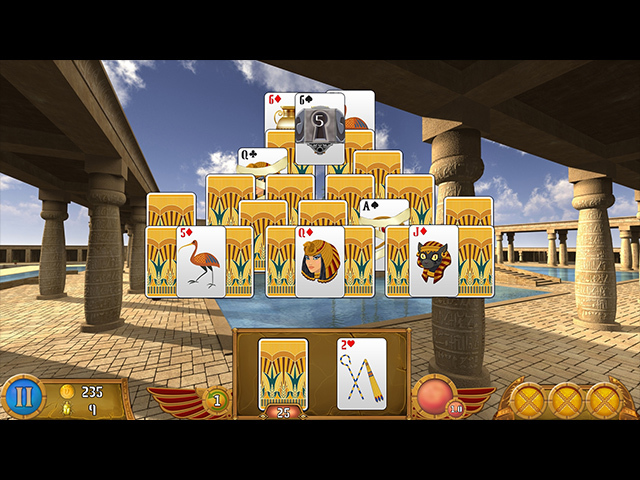 There is a choice of three different deck styles, and two card-face choices. Backgrounds can be set as wallpapers. 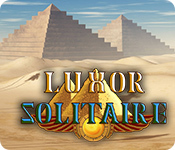 The goal of each level is to collect Scarabs, which you will use to build the great city of Luxor. You will also find gold as you play, and you'll use that gold to buy power-ups. You are limited to three boosters at any given time, and if you use one, you'll have to either wait for the next level, or go back to the map to purchase a new one. Powers include Joker, Remove 2 cards, extra Undo, etc. In addition to the above-mentioned obstacles, we also have the standard rope (aka Mummy) cards that you have to play twice, as well as cards that will not unlock until you reach a certain multiplier (ie. match 7 cards in a run). Each hand is scored from one to three stars. To obtain all three stars, you'll need to clear every card. 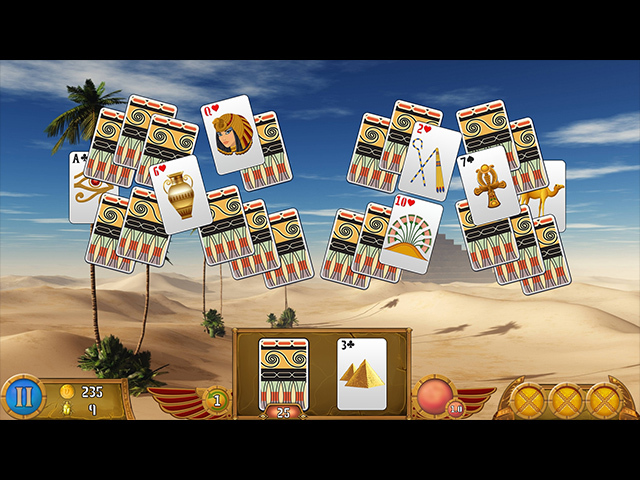 You CAN pass a level without matching all of the cards, but only if you collect all of the scarabs. Replaying a level will NOT earn you extra scarabs, though you can earn extra gold this way. There are 120 levels, total, with six in-game trophies that you can earn along the way. 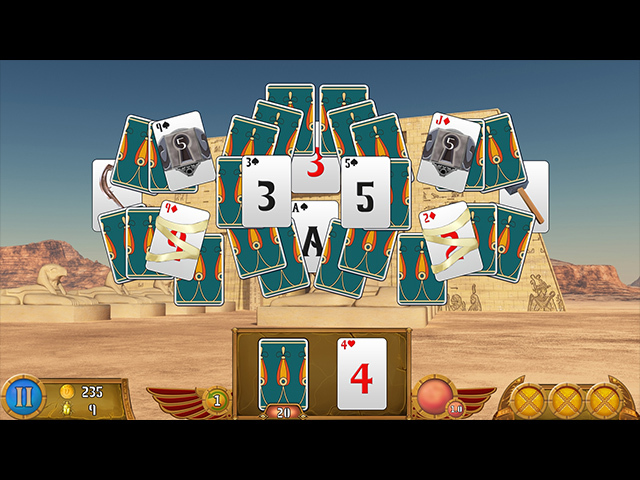 Recommended for fans of the number-run solitaire style who like to just relax when they play.